Continuing CRA’s tracking of the Fiscal Year 2019 (FY19) appropriations process, we pick up with coverage of the Energy and Water Appropriations bills. This is the annual appropriations bill that funds the Department of Energy (DOE) and all the research the department conducts. 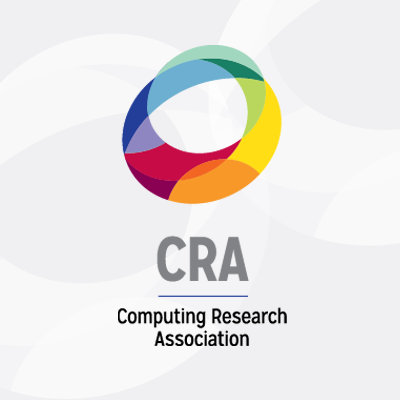 The accounts at the department of most importance to the computing community are the Office of Science and the Advanced Research Projects Agency – Energy (ARPA-E). Fortunately, these agencies have avoided the drastic cuts proposed by the President in his February budget request; regular readers will remember the Administration had recommended the complete defunding of ARPA-E and a 34% cut to the Office of Science. While the Department of Energy overall sees cuts in both chambers’ version of the appropriation bills, computing research fares relatively well. The House approved its bill as part of a minibus on June 8th. The Senate has not yet considered it on the floor, but has passed it out of the full Appropriations Committee. On the Senate side, DOE would see healthy increases over FY18 budget numbers. The Office of Science would see a 6 percent increase, going from $6.26 billion in FY18 to $6.65 billion in FY19. Drilling down into the account, the Advanced Scientific Computing Research program, where the majority of the computing research resides at DOE, would see a very good increase of 21 percent, going from $810 million in FY18 to $980 million in FY19. There are still some concerns within the research community that this increase is geared less towards research and more towards the deployment of the two exascale systems called for in Administration plans. However, such a large increase should still be a plus for the research community. In its report, the committee voiced support for the direction of the program, saying, “the Committee is supportive of recent research thrusts to develop scientific machine learning tools to enhance scientific discovery from user facility data and fundamental research in quantum information science that will lay the groundwork for deployable quantum computing systems.” Finally, the Senate set aside $13 million “to support work on artificial intelligence and big data focused on the development of algorithms and methods to identify new ways of extracting information from data,” generated at DOE facilities, “or validating use of machine learning in the Office of Science’s program’s scientific simulations.” Given the Administration’s recent interest in AI, it’s good to see both the House and the Senate funding additional efforts in this area. The other DOE program of note for the computing community is the Advanced Research Projects Agency – Energy, or ARPA-E. It would receive a 6 percent increase under the Senate bills, going from $353 million in FY18 to $375 million in FY19. Our regular readers will recall that ARPA-E was slated to be eliminated in the President’s request and is marked for an 8% reduction in House Appropriations bills. Meanwhile, on the House side, the numbers are good, but not as good as the Senate. The Office of Science would see a 5 percent increase over FY18, going from $6.26 billion to $6.6 billion. ASCR would also see a less generous increase of 13 percent, going from $810 million in FY18 to $915 million in FY19. The House appropriators expressed concerns about the department’s exascale initiatives saying they are, “concerned that the increased costs of the Exascale Computing Initiative compared to previous high performance computing (HPC) efforts are not transparently presented.” As well, much like their Senate counterparts, the House appropriators commented that, “a focus on only early-stage activities will forego the nation’s scientific capabilities in medium- and later-stage research and development and may not fully realize the technological advancements possible under the Department’s applied energy activities.” Finally, as noted, the House also set aside money for AI activities, recommending $26 million for these efforts. As for ARPA-E, the House was uncharacteristically easy on the agency’s budget this year, recommending only an 8 percent reduction. The agency’s budget would shrink from $353 million in FY18 to $325 million in FY19. Regular readers will remember that the House has historically been more skeptical of ARPA-E’s mission, and has recommended in years past (and as early as last year) to eliminate the agency. This proposed cut is likely a part of a negotiating strategy when both chambers come together to hammer out a final bill. What are the next steps for these bills? As we’ve mentioned before, it is still unlikely for these appropriations bills to move much before the midterm elections this November. This is because members of Congress typically don’t like to take contentious votes just before going before the electorate. However, there is a push from Congressional Republican leadership to get something tangible done before November. Only time will tell; please check back for more updates.